The committee was founded on October 25th, 1985 and obtained a license on July 31st, 1986 from the Ministry of Interior and Municipalities under the number 126 AD. Headquarters: The Committee of Cedar Forest Friends Office – Becharre, “Ile-De-France” nursery – Knata Street. a- To preserve the Becharre cedar forest and its environment, ensuring its healthy growth and durability. b- To establish the necessary facilities in order to protect the forest and eliminate everything that damages or disfigures it. c- To rehabilitate the forest turning it into a historic, artistic and touristic site. d- To work towards the passing of legislation which guarantees the physical, artistic and natural protection of the forest, as well as its environment, expanse and space by stipulating prohibitions and indicating the appropriate conduct towards and visitation of forests. e- To expand the plant cover surrounding the primitive forest in order to protect it in cooperation and coordination with the concerned parties. f- To ecologically preserve and try to expand all forests in the Becharre district. g- To raise environmental awareness among all segments of society particularly among students. a- The cedar forest enclosure is 3220 m in perimeter, 690 m2 of which were destroyed, exposing the forest to goats and loggers, as well as random visits. c- Rain eroded the layer of soil covering the roots of trees growing on slopes, while lightning did not spare the perennial trees, uprooting over a fifth, splitting many more, striking the church roof and destroying parts of its wall. d- Many branches withered, thirty-six cedar trees died, and consequently, the forest lost its ecological balance. The Committee formed a technical team that worked throughout the summer of 1985 on conducting theoretical observations of the forest, following them up in the laboratory. An official entrance was set up, including a balcony overlooking the forest, a room for receptionists, tourist guides and the groundskeeper. The forest opened its doors for visitors in the summer of 1990. In the following years, the Committee continued to cater to the forest, providing all regulating and preventive measures to turn it into a tourist attraction offering easy and studied access to visitors without endangering its resources. In 1998, six lightning rods were positioned inside the forest. The artist Rudy Rahme transformed the “Lamartine” Cedar burned by lightning in the winter of 1992, into the largest natural sculpture in the world. It was inaugurated on 19/10/1996 under the patronage of his Excellency, the Minister of Agriculture, Mr. Chaouki Fakhoury, the French Ambassador, Jean-Pierre Lafon and the representative of the Green Spaces Agency President – “Ile-De-France” region, Mr. Xavier De Buyere. As actions progressed, studies showed that erosion and desertification factors were the main causes of the natural imbalance, threatening the viability of the forest. In this regard, the Green Spaces Agency offered great help through financing a project to construct a nursery for the Committee producing thus an average of 25000 Lebanese cedar saplings per year. The Becharre Municipality offered the land needed to establish the nursery that was opened on 25/10/1997. Studies aiming at finding the best ways to start the afforestation around the forest began. The first step was to obtain four plots covering an area of 227 hectares from the Becharre Municipality. A forestry expert was charged with carrying out a detailed study for the project addressing soil quality, plans and the best ways of planting…This project was called “The Forest of Lebanon Cedar Friends”. The cornerstone was laid for project on 27/6/1999 under the patronage of the Army Commander, General Michel Sleiman. This project was inaugurated under the auspices of his Excellency the President of the Republic, General Emile Lahoud on 13/11/1999. The project aims at planting 60,000 cedar trees over an area covering 2,270,000 m2, where each tree has a sponsor whose name as well as the number of the cedar tree are written on a plaque next to it. Clearing agricultural roads covering five thousand meters in the aforementioned plots in order to facilitate works and management. Equipping the area with water tanks, and laying a network to irrigate fourty thousand cedar trees planted till now. Setting up, with the assistance of the United Nations Development Program (UNDP), a natural water pond of a capacity of 17,000 m3, and another of a capacity of 3,000 m3 overlaid with nylon. Continuing to plant 3 to 5 thousand plants yearly. In addition, the Committee established in 2006 a handicraft workshop to make artisanal cedarwood artifacts, in cooperation with World Vision – Becharre office. By virtue of a protocol concluded with the Gibran National Committee, the Committee was given the responsibility for maintaining the forest of Saint Sarkis surrounding the Gibran Khalil Gibran Museum. In cooperation with the US Agency for International Development represented by Ecodit Company within the framework of the Lebanese Mountain Trail project, the Committee cleared a road for pedestrians inside the forest, linking the grotto of Sainte Lourdes to the Phoenician tomb; the road was further cleared to reach the older cedars road. After several meetings, the Committee signed in 2007 an agreement as executive supervisor with the Becharre Municipality, the landowner, and the Lebanese expatriate Mr. Alfredo Harp Helu, represented by his agent in Lebanon Mr. Nabil Semaan and lawyer Mr. Asaad Feghali. According to this agreement, Mr. Harp Helu shall finance the preparation of the soil and plantating of 24,000 trees, their maintenance for five years, and the construction of a circular enclosure to protect them from grazing, as well as the building of an eco-friendly house including a conference room and reception hall. During summer and fall of 2007, as many as 25,000 cedar trees were planted, and a 7.5km-high enclosure, made of iron pipes enmeshed with barbwire, was set up. As for the eco-friendly house, all architectural plans were designed for the construction and the necessary excavations; the groundfloor and the pillars were put in place. Property of the Maronite Patriarchate – Cedar of God Forest property of the Maronite Patriarchate. Becharre Municipality as per a special protocol, being the landowner. The Lebanese Army by virtue of a special protocol concerning the forest. 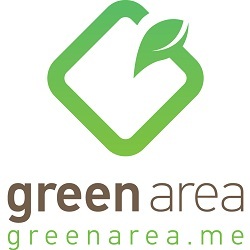 The French Government through the Green Spaces Agency in “Ile-De-France”. The Ministries of Environment, Agriculture and Tourism, and the General Directorate of Antiquities. The Rotary Club that contributed directly to the financing of the Committee’s projects. “Domaine Wardy” that supported the Committee’s program in the Forest of Lebanese Cedar Friends. The Committee is the representative of Arab countries in the International Association for Mediterranean forests. Founding member of and activist in heritage and environmental associations in the North. Founding member of the Lebanese Gathering for Environmental Protection. Founding member and secretary of the group aiming at preserving the Qadisha Valley as a world heritage. The US Agency for International Development through the Ecodit Company. The Hungarian Embassy in Lebanon. The Mexican Embassy in Lebanon. To date, the Committee of Cedar Forest Friends remains committed to its goals and programs, and aims at achieving them through further volunteerism and public relations in Lebanon and all over the world, as well as through the direct support of active Lebanese organizations.